As of 2018, there were more than 2 million available apps in the Apple iPhone app store and nearly 4 million in the Google Play app store for android phones. With so many mobile phone and tablet apps finding all the most truly useful ones may be next to impossible. Nevertheless, here are some iPhone and android apps we think are indispensable. Waze: While Google Maps and Apple’s Maps apps are useful, Waze does a great job of integrating its maps and navigation features with intel from users to keep you updated on traffic, road closures, accidents, speed traps and more to help you get where you need to go. Mint: Whether you’re really great at saving and want to see where all your money is and where you’re spending it or you’re not very good with budgeting and want to do the same thing, Mint is a must-have. 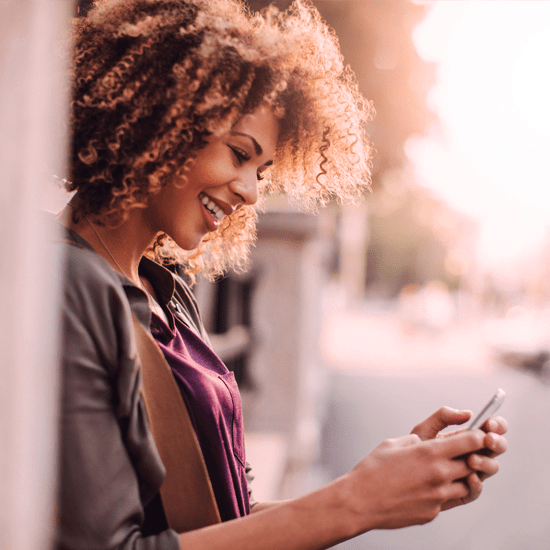 The easy-to-use app allows you to securely connect all your bank, credit card and investment accounts, view trends, set budgets and goals and set up reminders. Drupe: From a good old phone app to Skype and Messenger, Twitter and more, there’s no shortage of ways to contact people on your phone. In fact, sometimes it can get darn confusing! With Drupe, just one swipe is all it takes to call, message, schedule, navigate, pay and more for anyone and everyone in your contact list. This great app even has a call recorder that allows you to record calls easily. AdobeScan: Gone are the days you need to be by your printer/scanner to scan important documents. Now all you really need is your mobile phone, a flat surface and an app like AdobeScan, Genius Scan or CamScanner, all of which photograph documents, receipts, business cards, whatever, and save them as PDFs. What are the mobile phone apps you can’t live without? Share your faves in the Shop Talk blog community forum!